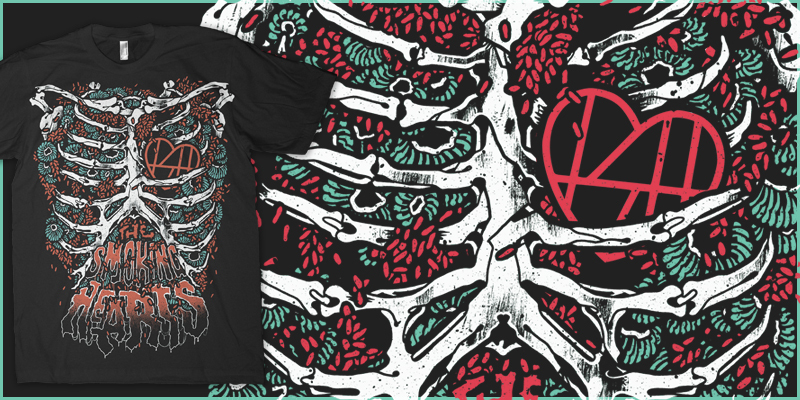 did up a quick ribcage shirt for the guys in Smoking Hearts, they are touring with the god awful Black Veil Brides and wanted a shirt to sell to their tasteless fans. Ha ha! Let it all out Craig!